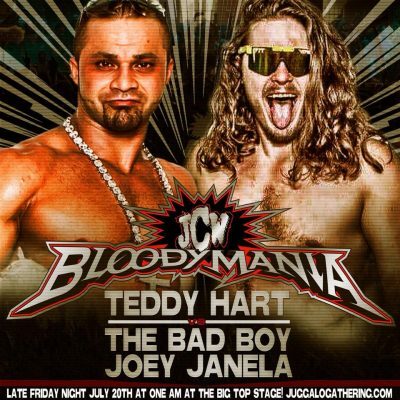 The matches for the annual JCW event Bloodymania have been announced. 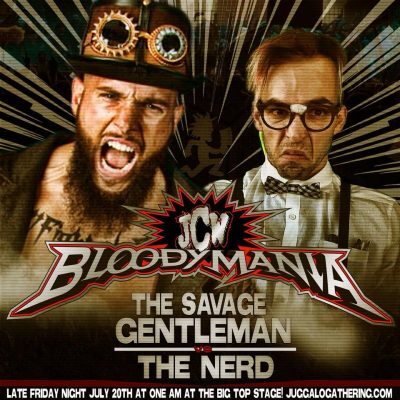 Bloodymania is set to take please this Friday at the 19th annual Gathering of the Juggalos. 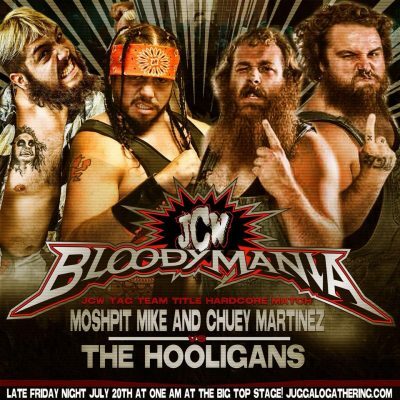 Bloodymania is the premiere wrestling event of the Juggalo Universe and it’s going down THIS Friday Night at The Gathering Of The Juggalos! ‪Catch Joey talking about the Gathering Of The Juggalos with Steve Austin in Stone Cold podcast this week! 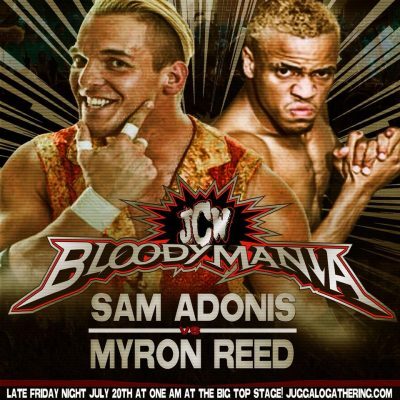 ‪-Arguably the most hated man in CMLL and rapidly becoming the most hated man in America, Sam Adonis tangles with high flying breakout performer The Bad Reed, Myron Reed in their first match up ever!! 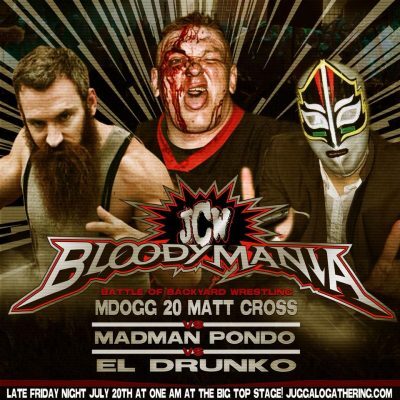 ‪MDogg Matt Cross Vs Madman Pondo Vs El Drunko!!! First time ever!! 2 teams put it all on the line. 1 team walks away with the gold! ‪HYZAYA is a JCW OG, the Hood Ninja, & an INCREDIBLY deadly adversary. He’s in for the fight of his life!! And that applies to both guys!!! ‪-The monsterous Kongo Kong is the unstoppable force on top of JCW & shining in IMPACT WRESTLING! We’ll see you at ringside ninjas!! !